The job title creative technologist has cropped up over the last few years but looks increasingly like it will become a key role in many of the world’s best creative agencies. Kumi Tominaga and Joe Wolff from R/GA New York tell us what makes them tick. Creative technologists are responsible for all kinds of weird and wonderful inventions to fuse the best of creativity and technology, so The Drum caught up with a few of them to find out what’s on their desk, what inspires them and what’s getting them wired up for the year ahead. In the first part of the series we heard from Charlie Perrins at Dare. Here we catch up with Kumi Tominaga, associate technical director, and Joe Wolff, senior open standards developer at R/GA’s Prototype Studio in New York. Talk us through your desk. What role does each item play in your average day? 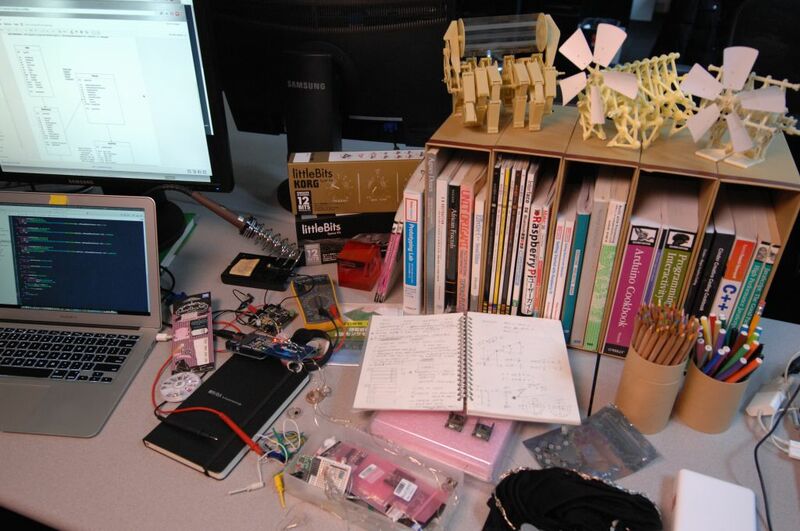 KT: I have toys and books that inspire me: Desktop-sized Theo Jansen kinetic sculptures, Nasa and Korg editions of littleBits, and books on geometric origami, African fractals and mathematical paintings. JW: My desk is covered in toys from gaming and comic-cons. They’re a reminder that geeks have inherited the earth, and that I work with some of the best of them. What are you inspired by outside of the office? KT: Trips to Japan a few times a year. I go on shopping sprees in Akihabara Electric Town, a geek mecca in Tokyo, to buy small electronic components and boards. It’s so exciting I feel like a kid in a candy store. I should plan a field trip to Tokyo so Joe and everyone in Prototype Studio can join me next time! JW: The open source community is a huge source of inspiration. It’s taught me that anything is possible if you bring together enough smart passionate people. Do you or does anyone else you work with have any rituals or cures for creative block? KT: I’m a neat freak and my best ritual for creative block is to tidy up my desk and my tool cabinet where I keep all my electronics. It’s almost meditative when I’m sorting my tiny 2mm LEDs per color. JW: Nine out of 10 times I’ll find a solution by chatting with Kumi or anyone else in the prototype studio. On the rare occasions that doesn’t work, I’ll usually get unblocked at the prototype studio’s daily tea time. It forces everyone to take a caffeinated break and is critical whenever I’m stuck. What’s the main challenge of operating at the intersection of creativity and technology? KT: In today’s technology, anything could become obsolete at the drop of a hat. You want to be curious to learn new things at any age, as technology keeps evolving. You want to embrace change, and not be intimidated by it. That’s what makes you a multifaceted creator. JW: Every target is a moving one, and you have to understand that your education is never complete. But it’s worth it. Broadening your technical knowledge opens up so many creative opportunities. What technology/creative developments have excited you the most in the last year and what fires you up about the year ahead? KT: On my last trip to Tokyo, I bought a set of Lumi Deco Nail, nail stickers with embedded LEDs that light up near NFC enabled mobile devices. They draw power from an electric current generated by the coil of copper inside when exposed to NFC signals. Since I hacked how these stickers worked, I have been 3D printing and prototyping various forms of rings that work the same. 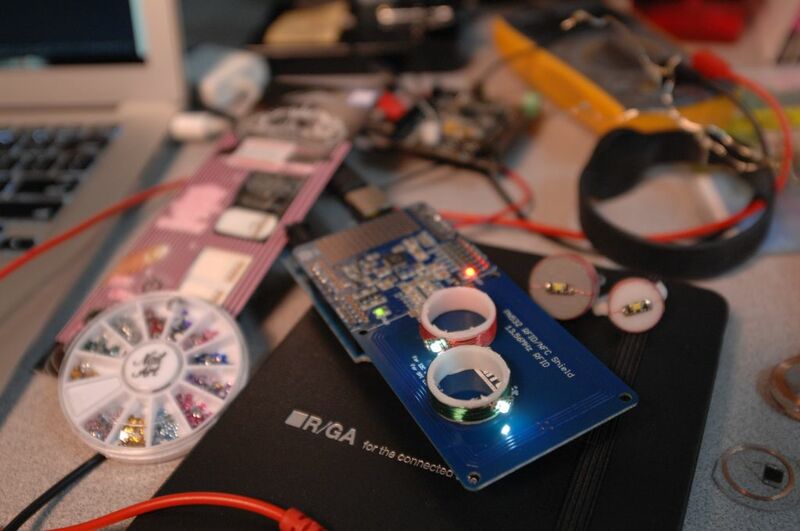 JW: The increasing availability of wearable and hardware has made it easier than ever to be a maker. As for next year? I’m excited to see how new prototyping tools help people bring their ideas to life and make software more accessible. 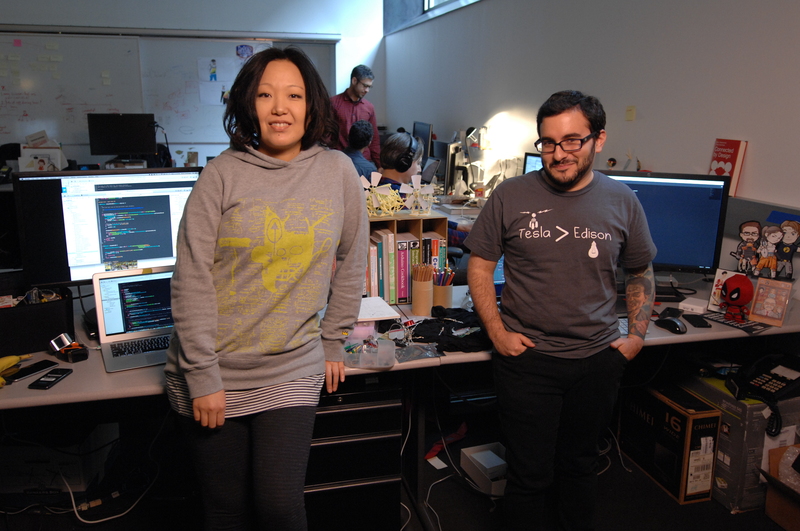 This entry was posted in Technology and tagged Hacking, Making, Press, Prototype, R/GA. Bookmark the permalink.